This is where we will list all of our miscellaneous MTG products such as, Promotional Items, Specialty Items, Original Artwork, and other hard to find MTG Collectibles. 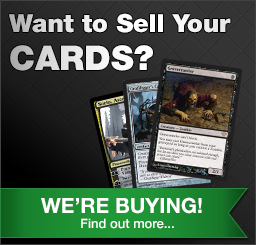 This section contains bulk lots such as rares, lands, commons, and uncommons. Also included will be Complete sets, basic land sets, and common/uncommon sets. This is PRE REGISTRATION for our Prerelease events.